Kerala prawn curry - home cooked food delivered. 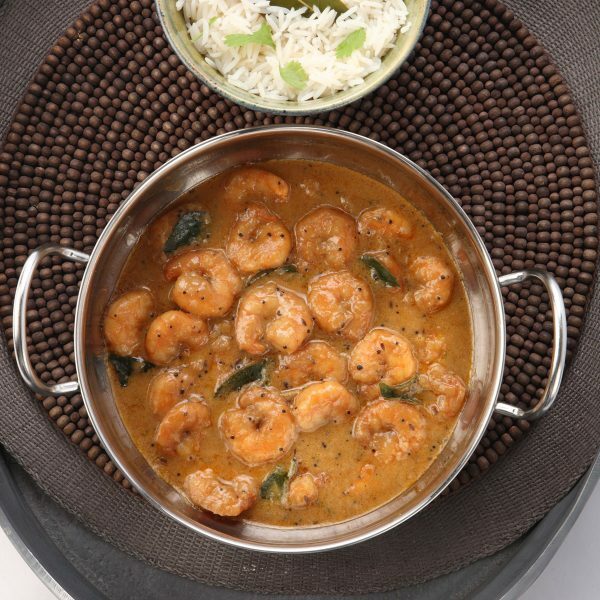 King prawns, curry leaves and coconut milk combine to create an exceedingly flavourful dish with a slight background heat. Don’t forget our home-made onion bhajis, the perfect partner for this southwest Indian curry. This is an excellent option for the freezer, to save you a trip to your local takeaway. King prawns (CRUSTACEANS), olive oil,cumin seeds, brown mustard seeds (MUSTARD), onion, ginger, garlic, cayenne pepper, paprika, curry leaves, coconut milk, seasoning.